As I am sitting here on a train back to Dublin from Belfast, I'm remembering the wonderful experience we had in our Sketching the English Village workshop last week. I believe we all had a good time. Beginning the week with a proper English roast at the local pub, The Patriot Arms, we nine gals got to know each other a little bit. As we introduced ourselves, we learned that all of us are afraid to try something new, make mistakes and even share our work for others to peruse. I believe at the end of the week, everyone learned that mistakes and fears are what takes us to a new level. We learned how much fun it is to push our limits. Back to our first meeting, the best part of pub life is not the drinking like in a bar, but the community that stems forth from it. I really don’t know what happened when folks came over the pond and opened taverns and pubs in our country. I’m sure they were offering places for travelers to find a pint as well as lodging (which still happens in England), but somehow ours became more of drinking establishments, instead of community establishments. 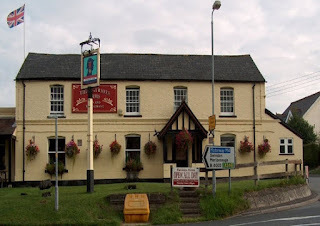 Today’s pub has quiz contests and competitions, language clubs, chess matches and lots of fun activities, including a good ole pint and rather good food. On our first full day of sketching we ventured into Avebury—about 20 miles from Chiseldon. Of course, it was raining, mostly misting. But just enough that we only had 45 minutes to draw before things got soggy. Remember, as I also say adjust and modify; so we did. 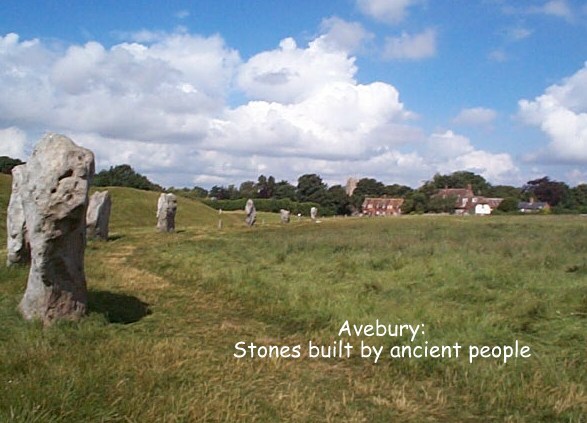 Avebury is an amazing village since the neolithic stones (like Stonehenge) are part and parcel of the area. I actually prefer Avebury Henge over the more touristy Stonehenge. The setting is peaceful beyond belief with sheep wandering aimlessly and green lush countryside at your feet. On the way back to the hotel, the driver was kind enough to stop at Silbury Hill. Now mind you, back in 2000, my family and I drove around for miles looking for this place. It simple looks like green covered hill when in reality it’s a human-made mound that stands 131 feet tall and covers five acres. It was constructed between 2400 to 2300 BC. They’ve been trying to figure out its purposed to this day; they still have no idea. Our next day (Tuesday) proved to be even rainier, so I held an inside lecture and demo on one-and two-point perspective—always a good subject to cover when you are about to sketch ancient buildings. We also explored the use of watercolor wash. I promised the girls I’d do a watercolor wash workshop sometime in the future. 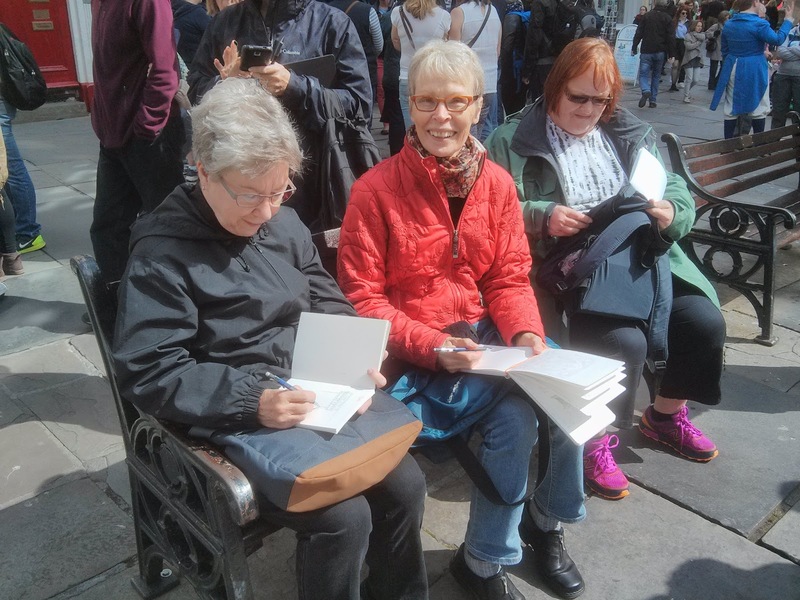 I must mention here that we, in fact, had three people who were “out-of-state.” For the first time, I received attention from around the country: Washington, Minnesota and Virginia. I’ve always had students that hail from Oregon, so this was very, very cool. And what’s best of all is that everyone really bonded, and bonded quickly. So for those who can’t make it to a workshop in my studio, we will be using Skype, which we used for the pre-trip workshop. On Tuesday afternoon, we also hopped on a local bus and headed for Swindon and the train station. Chiseldon is an ideal small village, charming in itself but also only twenty minutes away from Swindon and a train station that can take you to London one way and Cardiff, Wales the other. One of the reasons I like to take groups on sketching holidays to England is because I LOVE coming to Chiseldon, Avebury and Marlborough. As I told the students, “This is my England.” When I take people to see the sweet villages and towns in this part of England, I return to my love. So it was with sheer delight that I was able to take everyone to Marlborough. This town has had a license to hold a market every Wednesday and Friday since the early 1200s. Market towns and their licenses were created to help merchants sell their goods without nearby competition. Marlborough also has had a vivid history with kings and nobility, the supposed birthplace of Merlin and a true royal forest. Of course, it was raining when we arrived and therefore, too wet to sketch the wonderful park that runs along the River Kennet. But we were able to take pictures of the beautiful country side, go to open air market and visit St. Peter’s, where Wolsey was ordained. We ended the day with a proper cream tea (tea with scones, clotted cream and strawberry jam)at Polly’s Tea Room—a local favorite. Finally the weather started to get better and we were able to sketch the grounds of the hotel and the old Vicarage in the village. The hotel grounds are simply wonderful. Built in the mid-1800s, it was a residence for years. There is a scrumptious courtyard set just outside the hotel lobby that has lovely plants, a round, thatched-roof atrium, great stone walls and lots more to sketch. It’s truly a sketchers’ wonderland. doing sitting on stools in front of her house. When I explained what was happening, she was thrilled, jumped out of her car and started taking orders for either tea or coffee. When we balked, she informed us that she’d be insulted if we didn’t agree to some refreshments. Now how is that for hospitality! I only hope we can be as warm and friendly as she was when others visit our country. From there we sketched the quaint cottages that face the church—some of them dating back to before the 1300s. Back in the earlier part of the week, I told the students that there was a village nearby where a lot of English movies are made (Pride and Prejudice, Harry Potter to name a couple). Although cars are allowed, no wires hang above, making it a perfect place to film movies of the past. Another such village is Castle Combe where War Horse was filmed. So as you can imagine, once they heard about these two places, they wanted to go. Fortunately, I have my local resources and called a coach company and asked if we could hire a minibus the next day. Yes, indeed we could. 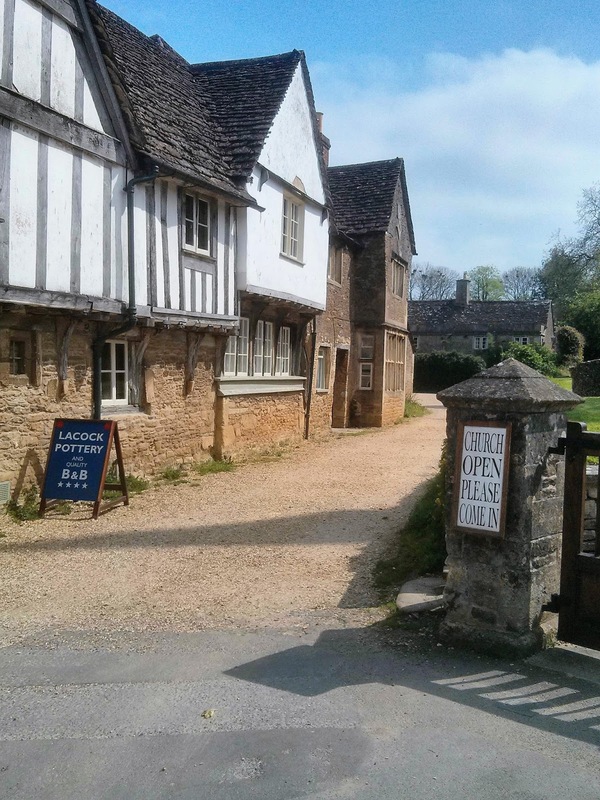 Hence, within 24 hours, we were sketching 13th century Lacock. This is really an old place and giving us all a great opportunity to sketch old homes, shops and religious buildings. Heading back to hotel, the coach driver was kind enough to swing by Castle Combe. This is a most picturesque village. I can see why it was a perfect location for War Horse. We didn’t have to sketch, but did have 10 minutes to take photos. We spent our last full day in Bath. I cannot talk enough of this city—another beauty for me. Named after the Roman baths, the place is filled with some fantastic architecture (Circus and Royal Crescent) and the Pulteney Bridge (the only bridge with shops built on it other than Ponte Vecchio in Florence. ).We had time to sketch the main courtyard before the Roman bath entrance, the bridge from afar and then on the bridge itself. We also had a scrumptious lunch too boot. Want to see my travel photos, go to my Facebook page. It’s been nearly ten years since I started offering sketching holidays domestically and internationally. Every trip has been different, even some of them have been repeats. We learn and try to experience something new each time. Come join us, these trips are a lot of fun. You only unpack once (the hotel) and you bring home plenty of artwork, photos and stories to share.